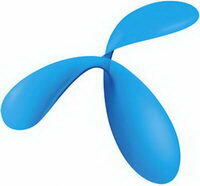 ISLAMABAD, February 8, 2011: Telenor Pakistan has announced results for the fourth quarter of 2010. Pakistan’s second largest cellular company continued to out-perform the industry by registering above average growth. At the end of Q4 2010, the number of subscribers reached 24.7 million, showing a year-on-year growth of 10%. EBITDA margin has remained strong in the quarter, growing by 9% as compared to the same period last year. The year closed with Telenor Pakistan retaining its subscriber market share of 24.5%. In the previous quarter, Telenor Pakistan along with its partner Tameer Microfinance Bank received global recognition for easypaisa when they were presented the ‘Best Mobile Money Transfer Entrant of the Year Award’. Easypaisa was pitted against some of the leading mobile financial service providers in the world, such as Vodafone and Safaricom, and outshone mobile operators Grameenphone, Banglalink and Vodafone to become the winner. One Response to "Telenor Pakistan Announces Solid Financial Results for Q4 2010"